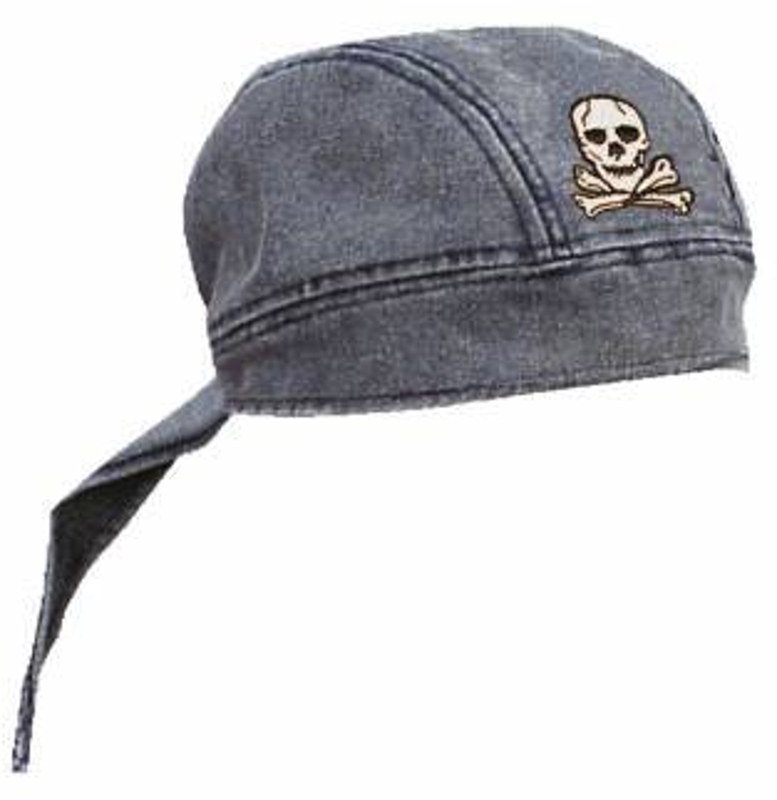 Have a question about the Trident Skull & Crossbones Denim Skull Cap? Black denim head cover features skull and crossbones on front, and dive flag on back. I love this dew reg cause now all my biker buddy's know I'm also a trained diver. Now there interested in diving too!